You may have noticed that my curiosity was piqued by another thread and I've pushed some shampoo bars. Tomorrow I start to use them and 'transition' my hair from commercial shampoo and conditioner, I thought it might be helpful for others to know how it goes for me. Shampoo Ingredients: Water, Sodium Lauryl Sulfate, Sodium Laureth Sulfate, Glycol Distearate, Zinc Carbonate, Sodium Chloride, Sodium Xylenesulfonate, Cocamidopropyl Betaine, Dimethicone, Fragrance, Sodium Benzoate, Guar Hydroxypropyltrimonium Chloride, Magnesium Carbonate Hydroxide, Methylchloroisothiazolinone, Methylisothiazolinone, Blue 1, Yellow 5. Conditioner Ingredients: Water, Sodium Lauryl Sulfate, Sodium Laureth Sulfate, Glycol Distearate, Zinc Carbonate, Sodium Chloride, Sodium Xylenesulfonate, Cocamidopropyl Betaine, Dimethicone, Fragrance, Sodium Benzoate, Guar Hydroxypropyltrimonium Chloride, Magnesium Carbonate Hydroxide, Methylchloroisothiazolinone, Methylisothiazolinone, Blue 1, Yellow 5. 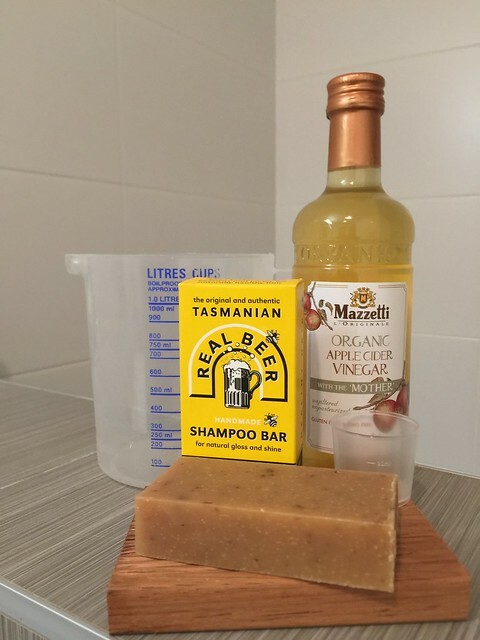 Shampoo Bar Ingredients: Tasmanian beer, Mount Wellington spring water, Coconut oil, olive oil, castor oil, Tasmanian Hops, Leatherwood Beeswax and honey, essential oils. 'Conditioner' Ingredients: Certified Organic Apple Cider Vinegar. Their rinse pushed the cost of postage and product up considerably - thus the cheaper Apple Cider Vinegar from the supermarket. 2-3 tablespoons corresponds to 40 - 60 ml using standard Australian measurements (other countries differ). They claim that 'Most people report positive results after just 1-2 washings. However, at least 3-4 washings are needed to remove previous products from the hair' and this is consistent with other reports I've read on switching to shampoo bars. So if you are interested - tune in tomorrow to hear how it goes! Great - looking forward travelling with you on your journey! Very interested Mark. I made the move a while back and it's one of the best things I've ever done. Probably even better than switching to traditional shaving. a) It takes time to acclimatise. Your body will down-regulate the amount of oil its squeezing out your head and this takes time. b) The vinegar rinse is absolutely essential. I use an ironing spray bottle with a 1:5 apple cider vinegar solution. By the way, that's a great looking ingredient list. I opt for my homemade 80/20 olive/castor with a healthy splash of vetiver. I love my liggetts moisturizing formula. No acv rinse or any other conditioner required. Will report tomorrow and day after tomorrow. WOW - big call, especially to make in a shaving forum! Do they have hair washing forums? Interesting - I'm going to be doing the 40ml in a litre of warm water and pour it on as last rinse. You mean an 80/20 soap you make? Even more impressive! No problem I know how hard it can be when you get to your age are using Tapatalk. I couldn't for the life of me work or how to post an image which linked to an eBay auction of you clicked on it the other day. Easy as pie via the web browser but couldn't work it out on Tapatalk. PS in case you are on Tapatalk, there should be a bit of strike through formatting above. Firstly - after opening the shampoo bar last night my whole bathroom smells GREAT - I'm sure that will die down but a nice start. From what I'd read I was not expecting much lather. How wrong I was. Even initially rubbing the bar directly around my scalp I could feel lather starting. A little massaging with the fingers and it was clear from the lather dropping off me that there was more than enough lather. I'm sure even @alfredus would be pleased BUT I promise you - no lather shots from this thread. This was certainly a far more pleasant experience than with commercial shampoo, the scent was great, the lather generous and the whole feel was luxurious. After letting it sit in my hair for a minute or two I wash the lather out with plain water. Now for the rinse. I'd poured 40ml of the vinegar into the 1 litre jug before hopping into the shower. I now filled it up with warm water from the shower head and poured it over my head. No pleasant at all. Very vinegary smell and taste, some WILL get into your mouth and overall a very hippee, mung beans, alternative lifestyle, organic health food store feel about this part. Not my cup of tea. While some instructions suggest that you can rinse with water after the vinegar others suggest you don't. At least initially I didn't and just toweled dry. 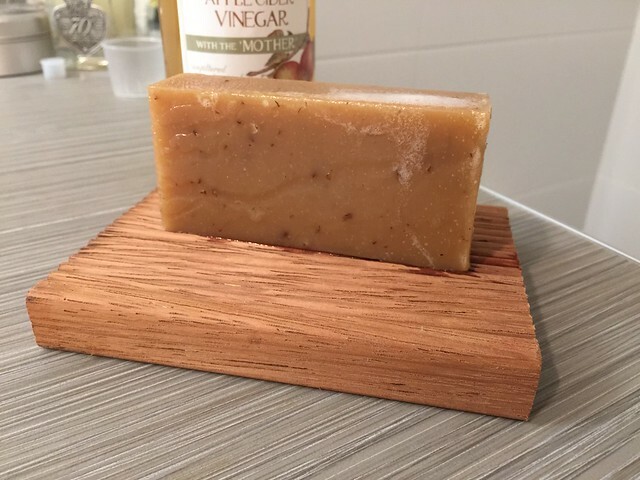 Sitting here typing I think I can smell the shampoo bar more than the vinegar - I'll see what my wife says and report back. I highly recommend both using a spray bottle and rinsing after a couple of minutes with the vinegar. I've been keen on these for a while. Mostly when going bush but the vinegar rinse.... No thanks. Great post, @Mark1966. And good suggestion @khun_diddy for the spray bottle. I had a similar reaction to Mark regarding the sensation of the rinse - all a bit funky - but was impressed with results to my hair. It's the kind of treatment I would do once a week or fortnight, but of course everyone is individual in preference. The vinegar rinse is not essential @Sxot from what I've read but recommended, especially while your hair is getting used to the new routine. 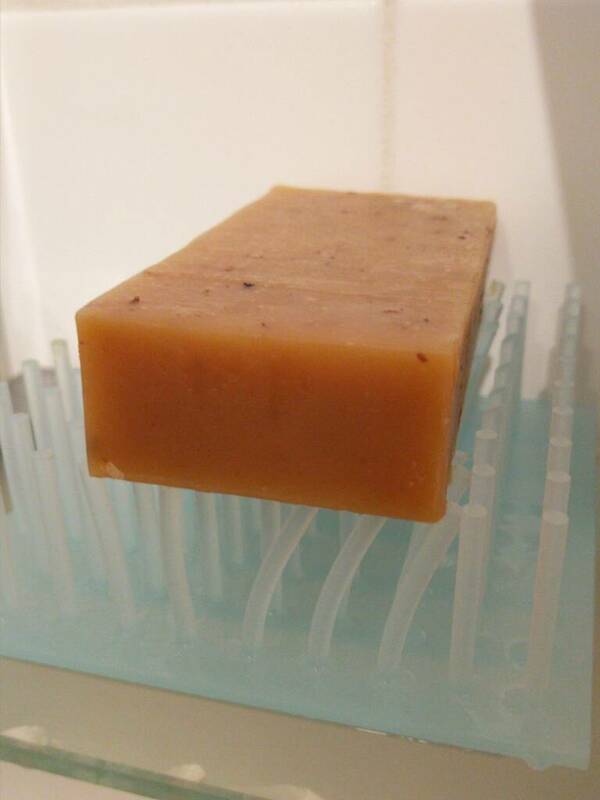 When I think my hair and scalp have settled down into the new regime I will experiment with a spray bottle and/or rinsing off afterwards but the smell quickly disappears so the lasting impression is of the shampoo bar and its scent. Initial impressions were all really good. Scent was great, lathers up luxuriously. I've always been a fan of shampoo bars ever since my first exposure with the DR Harris shampoo bars. As opposed to using some shampoos, it cleans well enough and yet doesn't make your hair feels rough and dry. I'm liking it so far. Usually I use my shampoos to clean my brushes once in a while. I wonder if these will do the brushes any good. Maybe?